We love days like today where it's not too hot, there's a nice breeze in the air and the sun is out and the humidity low. Days like this always make us want to walk the city. Of course to do so, you need comfortable shoes.....bonus for cuteness. Today's Shoe of the Day meets both of these requirements. 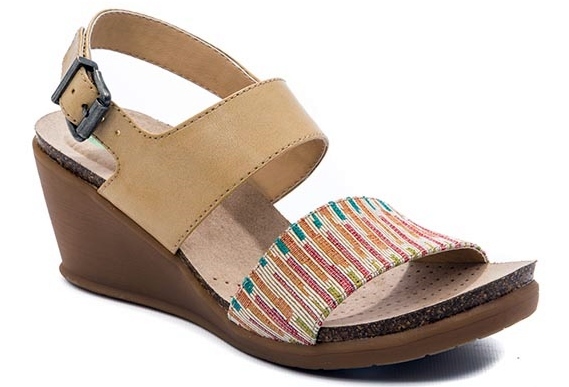 The BareTraps Shoes Nadean Wedges are classic double-banded wedges which boast BareTraps' contouring memory foam footbed for lasting comfort, metal buckle detail closure, and a flexible outsole. 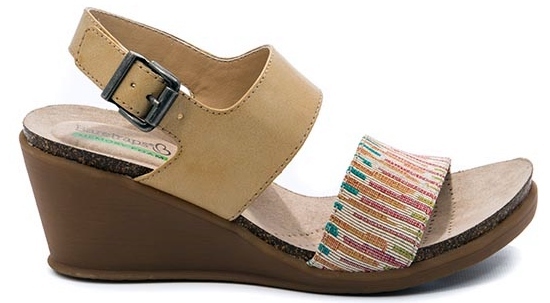 The 2" wedges are available in neutral tones with a printed strap for a "perfectly summery" pop of color. 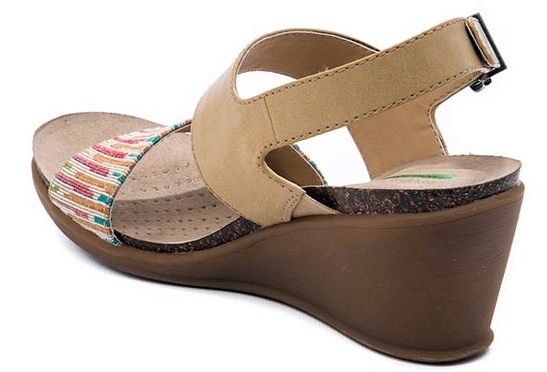 The best part, you can get these $69.00 summer wedges on sale now for only $39.99 on www.footwearunlimited.com.